My friend Jo Robinson of africolonialstories has given me the Super-Sweet Blogger Award. SHUT UP! I AM SO SWEET! I’M SUPER-SWEET! Jo said so! 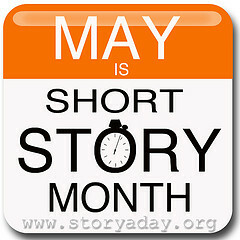 ANYWAY, that means my story of the day will be very short. –I heard that sigh of relief. I’m right here, you know. He never took the alley home, but he did when we came back from our anniversary week at the resort. The rear garage door creaked and rumbled from disuse, stuck partway, then inched up far enough for him to pull in. I was afraid it would stick, but it closed more smoothly than it opened. He didn’t answer; he just opened the trunk and handed out the luggage, giving me the light stuff and hefting all the heavy stuff with his tree-trunk arms. In the kitchen, I flipped on the light. He dropped the luggage he carried and flipped the light back off. I shrugged and put what I carried onto the floor. Again, no answer. I sighed and closed my eyes. Taking me by the shoulders, he steered me out of the kitchen and across the front room carpet, onto the entryway tile. I was facing the front door. Above it, where there had been solid wall when we left, was a panel of stained glass, just like the one I had drooled over on Pinterest. “Lola told me.” Lola, his sister, my friend. The sun through the glass bathed us in multicolored brilliance. The colors shifted and flickered with the bobbing shade of the front birch’s breeze-shifting branches, just as I had fantasized. We spell it “favorite” over here, pal. And my favorite sweet treat is anything with chorklit in it. Or hazelnut. Preferably both. Sugar-plum. That’s what I call babies. That’s the sweetest nick-name there is. This entry was posted in Story A Day May. Tagged award, free short story, love. Of course, YOU are super-sweet! But so is my brother. We have a front door with an upper opening shaped like a half-circle with four divisions: a fan-shaped result. One day, he brought home some transparent gels, colored yellow and green. He proceeded to make geometric patterns from them that fit into the fan’s shapes. Voila! Instant stained glass window. And it has lasted for yarons. Lovely story. At first I thought maybe he had something dastardly in mind. You did a good job of keeping a bit of suspense going there. PS, did you get my email? I sent you one about… 7ish hours ago. Mary Pax would love to share..The Indie Life Isn’t So Solitary #indie #author #writer #amwriting Used ebooks? Yes, and I answered it about… 7ish seconds ago. ~blush~ Sorry for the lag. I’m laggy, I confess. Wow! thanks so much for this1 It was super sweet of you!